Do you need help to learn how to play blackjack? Here you find a beginner's guide and a bonus to play the EASIEST online blackjack games on the internet - just for you! Which One Is the Spade Again? Oh Wait, How Much Did I Just Score? What's Really Important Here Is Getting to Know Your Ranks. And Now for the Easy Blackjack Rules (Finally). But What about the Losing Hand? What's That Nonsense on the Table? How Do I Choose to Play a Hand? Where Can I Practice Blackjack Online? This is everything you ever wanted to know about how to play Blackjack like a pro but were too ashamed to ask. Bryce Carlson, Edward O. Thorp, Arnold Snyder, Russ Hamilton, Don Johnson. If these names don't ring any bells, then you're probably here to pick a trick or two before your next beer-and-Blackjack session with the guys. Though gambling is not necessarily your passion in life, you certainly deserve to see their baffled faces as you beat them to the draw. Maybe in time, you'll get to sit at the big shots' table and make some serious dough. Do you want to play easy Blackjack game online? Visit this page and get an immediate bonus to play low stakes Blackjack games! Since this is a guide on demand – made especially for rookies without any real experience or proper Blackjack skills – I'll start by introducing the game. Blackjack might not the easiest way to spend your free time, but it is the best one to have lots of fun and bring home the bacon when you play Casino games. Personally, I think it's also the most exciting game on the Casino floor. You can play Blackjack in that shiny new casino just around the corner or join millions of thrill-seekers who've replaced classic tables for online simulations. Check out the best free sites to play live Blackjack games online! Of course, you can always host a Blackjack party at your home - if your friends share your passion. Some Casinos chips and a few decks of French playing cards are all you need to get the fun going. Whatever your choice is, you'll need a solid knowledge the basics of Blackjack, of the rules, and of the best winning strategy to play and to increase your winning odds. Like you can not learn a language before you studied its alphabet, you need to start from the basics if you really want to learn how to play Blackjack. 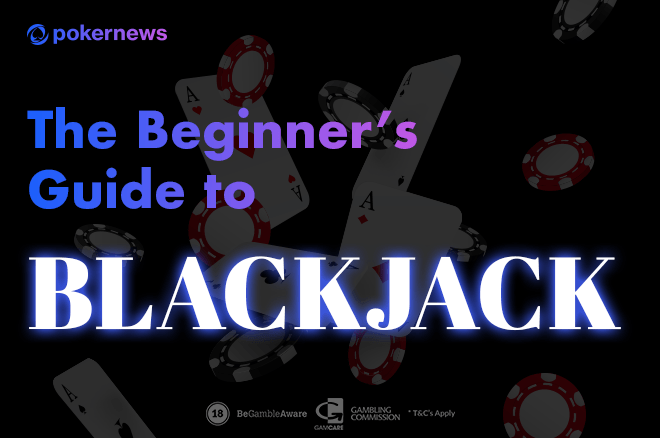 That's why this Blackjack guide starts from the A-B-C of the game. I'm going to call this 'first lesson' How to Play Blackjack and What the Cards Mean. This may be the last chance for you to clear any confusion surrounding card symbols and to finally learn to read them right. Let's start from a classic deck of French cards because that's what you need to play Blackjack. Yes, these are the same cards your grandfather use to play Slapjack, Crazy Eights, and Three-Card Poker. 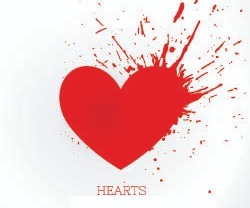 Spades and clubs are coloured in black while diamonds and hearts are coloured in red. But since we are on PokerNews, I'm assuming you knew that already. A traditional deck has 13 ranks and each suite has one card per each rank. The first card is the ace (A), but it's not exactly the equivalent of a 1. In fact, this card can be the highest-ranking card of the deck. The following ten cards form a string from two (2) to ten (10/T), while the last three are the Jack (J), Queen (Q), and King (K). These last three cards are called the face cards. But "I just want to learn how to play Blackjack", you say? "I don't need you to remind me of my grandpa and his dusty old cards!" I hear you, but be patient. I'll get to that in less than a minute. The reason I needed to dust off your grandfather's old deck of cards is that Blackjack has some restrictions when it comes to using suits. In fact, suits are of value only in some variants of this game. 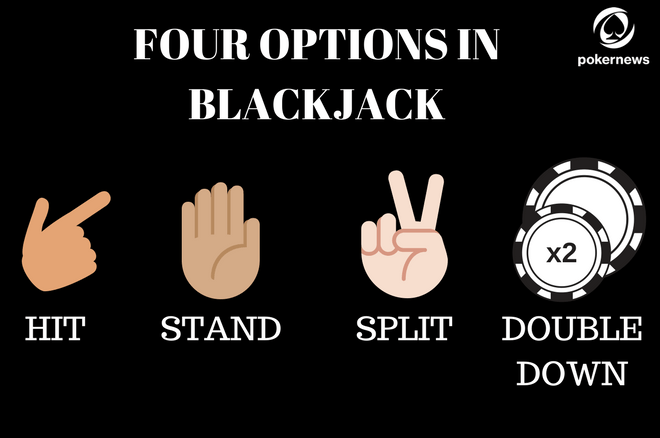 Since this is a Blackjack for dummies guide, you are free to ignore them now. Since there are four suits, and each suit has one card of each rank, the math says that there are only four cards of each rank in the deck, right? Each ace is worth either 1 or 11 points. For all cards that belong to the two-to-ten string, the rule is the same – their rank equals their point value. If you hold a 5, for example, you hold exactly 5 points. Every face card, be it a Jack, a Queen, or a King, is worth 10 points. So - let's see now how much did you just score. Translate the ranks of cards you hold to their point value and add it all up. That's really as easy as that. 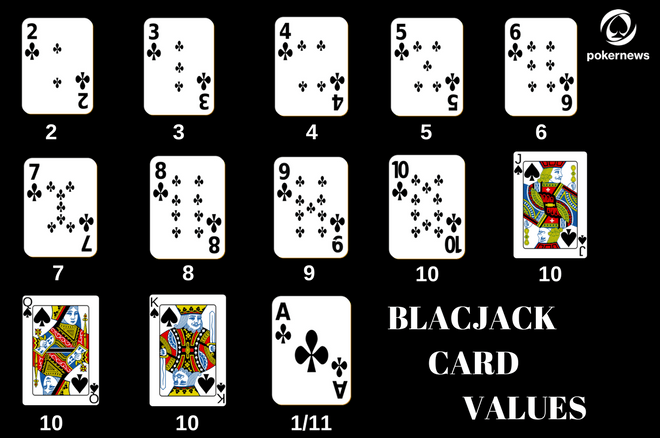 Your score in Blackjack is the sum of the value of your cards - not one point less than that. When you play a game of Blackjack, you always play against the dealer. Don't think about the other players at the table. Regardless of how many of you sit to play at the same time, there are always only two hands in play – the player's hand versus the dealer's hand. And the winning hand in Blackjack is, you guessed it, the higher hand. Which, if you are lucky enough to get it, is also the one that gives its name to the game: a Blackjack. A Blackjack is a hand 2-card hand that totals 21 points. This is not an easy one to get, be sure of that. But it is also the one you'll be always hoping to receive. Every. Single. Time. You play. The losing hand, the dead hand, or the bust, is every hand with a total sum of 22 or higher. That's because as soon as you geo over the 21-point limit, you are out of the game. Regardless of the dealer's score. Unfortunately, that's not the only losing hand in Blackjack. Because each hand that is one point short compared to the dealer's score…it's a losing one. And that, ladies and gentlemen, is how to play Blackjack for dummies. Remember how a Blackjack – which is a hand with 2 cards that total 21, and is higher than the dealer's – automatically wins the game? If the dealer also holds a 21, then the result is a so-called Push, meaning that your initial bet is returned to you and you neither win nor lose. Blackjack pays 3 to 2, or in some Casinos, Blackjack pays 6 to 5, refers to payoffs and odds. If you win against the dealer's hand, your initial bet is paid off 3 to 2, or in some casinos, 6 to 5. 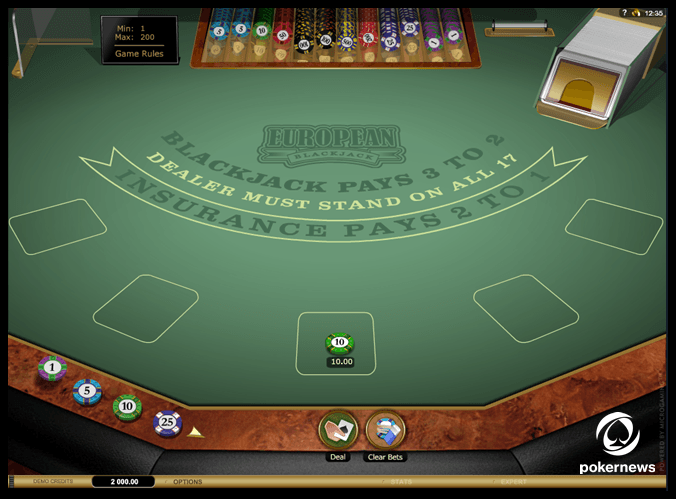 With Insurances pays 2 to 1, you're offered to put an additional bet on whether or not your dealer will get a Blackjack. Your hand can lose against the dealer's hand, but then you might cover your lost bet with a win on an insurance bet. Word to the wise, you can drop them both. $5 minimum, $500 maximum is simply a reminder of the smallest and the largest amount of money you can put on the table. A good guide on how to play Blackjack online should always direct you to play your first games on websites where the minimum bet is small enough to be beginner-friendly. Blackjack begins after all players have exchanged their money for chips and placed them on the designated spot on the table as their bets. 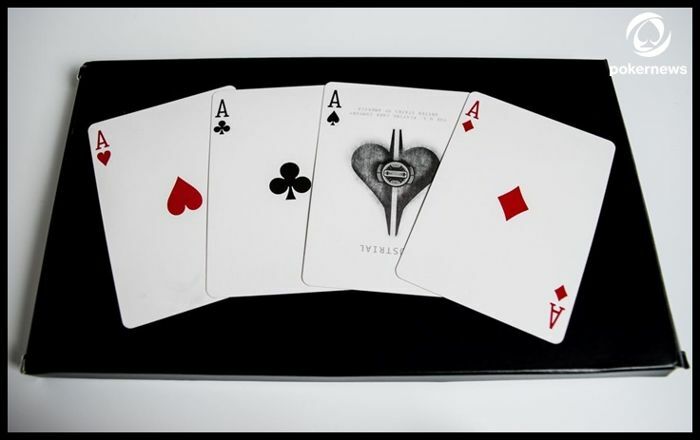 The dealer then deals the cards – two of them for each player, including himself. The cards can be dealt either face down or face up, apart from the dealer's own two cards, of which one is always dealt face up and another face down. The dealer then peaks to check if he's been dealt a Blackjack. If not, the players are invited to hit or stand, though there are three more options to choose from – splitting, doubling down, or surrendering. How you play your hand depends on the cards both you and the dealer have. When you go for hitting, you're dealt one additional card. If you choose to stand instead, you're keeping the cards you have. To qualify for splitting, you need to have two cards of the same rank. You'll receive two cards more, one for each of the cards you've originally been dealt, pay a side bet, and then start playing with two independent hands. Both their bets and their payoffs are independent too. When you double down, you need to place an additional bet, after which you'll receive one card more to add to your original hand. The rules for surrendering vary from one casino to another, in a sense that some offer an early surrender option – to drop out of the hand before the dealer checks his cards for a Blackjack – and others a later surrender option, in which you must wait until after he's done that. Either way, you agree to give up a half of the bet and are free to walk away with the rest. The basic Blackjack strategy for beginners relies on knowing how to discern a hard hand from a soft one. The simplest way? Look for the aces! If there's no an ace in it, or if that ace counts not as 11, but as 1, then you've got yourself a hard one, and you don't have much wiggle room. Hard hands cannot count on aces to lower the total down and can be dangerously close to surpassing the limit of 22, which automatically makes them bust. Hitting is here quite a risk. In a soft hand, however, you can count an ace either as a 1 or 11. It means that if another card is, say, a 9, you have either a total of 10, which makes you eligible for hitting or a total of 20, which could make your hand a bust if you choose to hit and receive anything but another ace. Always check the dealer's face up card before you take action. If it's anything between 2 and 6, there's a good chance the dealer's hand will go bust, so don't take unnecessary risks. If it's 7 through ace, take your chances and play the hand aggressively. Skip placing the side bet for insurance pays 2 to 1. Experts calculate that this bet gives the house the advantage of almost 6% over the player. It's dumb because even if you score a Blackjack, your hand will pay off only the original bet. Be smart enough to take your time and don't get burned. The dealer might be rushing, so avoid the first base chair. Also, start small and give yourself a moment to assess the situation. Blackjack is only fun if you know how and when to move on. Oh, and take a primer from a Blackjack expert. "When your hand is 12-16 and the dealer shows 2-6, stand. In the same situation, hit only if the dealer has 7-ace. Always split aces and 8s and double 11 versus the dealer's 2-10, and hit or double aces-6. Also, blow off the guy who claims to be a Blackjack expert." That's how Bryce Carlson, Edward O. Thorp, Arnold Snyder, Russ Hamilton, and Don Johnson began counting their cards, after all. Blackjack for beginners is much easier than you think. Just memorize this, try it on your friends, and stop if you're losing. And though it won't save you if you're bad at math, we wish you good luck. what's the best online Blackjack site for a beginner? If you are a low stakes player who is trying to understand how to play Blackjack and would like to get into some easy Blackjack action, make sure you check out this Blackjack site. This casino is p-e-r-f-e-c-t for beginners as that's exactly the type of players it is for. From the UI to the promotions and the easy casino games on tap, this is a great casino site to learn how to play Blackjack online and become a pro. As a new player, you get a superb welcome bonus to play Blackjack and, in case you like other games too, online Slots as well. So, don't miss the opportunity to become a better Blackjack player: register a gaming account now and play free Blackjack games until you learn how to win every time!